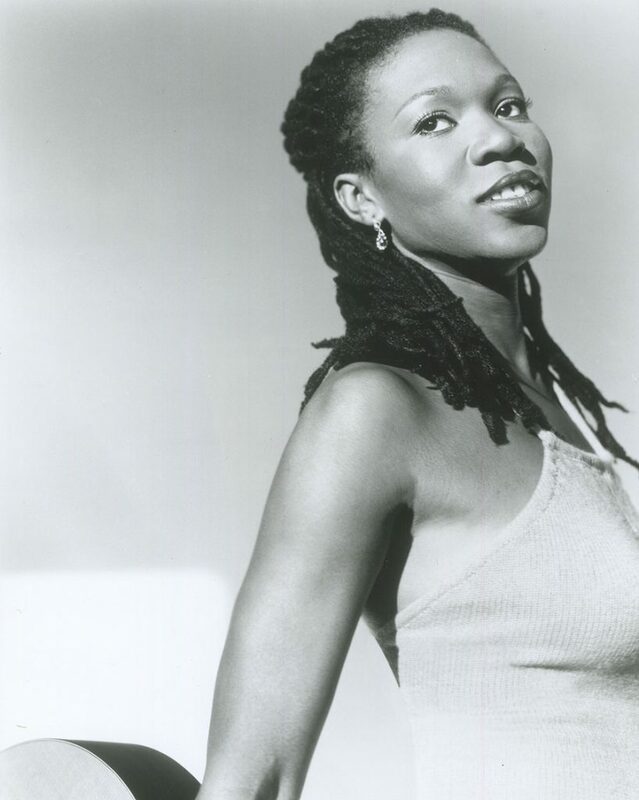 With her 2001 album Acoustic Soul, R&B singer India.Arie made one of the most notable debuts in music history, traveling down the trail blazed by like-minded soul sisters Lauryn Hill, Erykah Badu and Jill Scott. The song “Video” from the CD became an anthem for many listeners with its positive message about loving yourself. It made India.Arie a household name. Arie’s father, Ralph Simpson, was a standout high school basketball player in Detroit and spent a year at Michigan State University before getting a hardship exemption to enter the draft of the American Basketball Association as a 19-year old. Drafted by the Denver Rockets (later the Denver Nuggets), he became one of the now-defunct league’s top scorers (he also played with three National Basketball Association teams before ending his athletic career in 1980). Arie’s mother, Joyce Simpson, also grew up in Detroit, where she pursued a career as a singer during her teenage years. The Simpsons were divorced in the mid-1980s, and at age 13 Arie moved from Denver to Atlanta with her mother and her two younger siblings. But she found Atlanta schools to be less tolerant, and after a few years of being ridiculed for her physical appearance and attitudes, she decided to move back to Colorado with her father to finish her secondary education at Rangeview High School in Aurora. Arie had taken up a succession of musical instruments throughout her schooling in Denver. After graduation, she studied at the Savannah College of Art and Design in Georgia. It was there that she got a nylon-stringed acoustic guitar from her first boyfriend and began writing songs. Arie received seven Grammy Award nominations for 2002, including Best New Artist, Album of the Year for Acoustic Soul and Record of the Year and Song of the Year for “Video.” Although she did not walk away with any of the awards, the publicity catapulted her into the front ranks of contemporary female R&B performers. Arie followed the success of her debut with the release of Voyage to India, which debuted at No. 1 on the Billboard R&B chart and won her two Grammy Awards. Her third studio recording, Testimony: Vol. 1, Life & Relationship, was released in 2006, and it gave her first No. 1 spot on the Billboard 200 album chart. Testimony: Vol. 2, Love & Politics and Songversation, issued in 2009 and 2013, respectively, debuted in the Top 10.